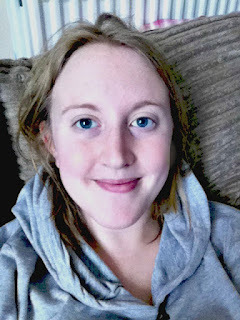 I've decided to join in with the 31 day blog challenge as hosted by a new blogger I have found, Emma from BoyOhBoy. I'm really excited to join in and meet some new bloggers and maybe get to know others better. For Day 1 I'm going to introduce myself and post a recent picture! So, for those who don't know I'm Hannah the name behind Cupcake Mumma which isn't even a year old! I'm 22 and mother to my 4 year old Little Miss and 1 year old Little Man. I'm getting married this August (getting close) to a lovely man I met 5 years ago. Now for a recent photo of me. I'm not a fan of my photo being taken but I'll play along! PS. Obviously I am also an avid fan of cupcakes and pink! Gotta love an iphone - do you use Instagram? I'm Janmary there too. Spent a few lovely holidays in Cornwall, gorgeous part of the country! Hi Hannah! Congratulations on your upcoming wedding! I am getting married next year. :) Looking forward to reading more of your posts this month! Hi Hannah, Lovely to meet you. Thanks for joining in! How exciting to be getting married soon!! I love being married and have been married almost 5 years now!